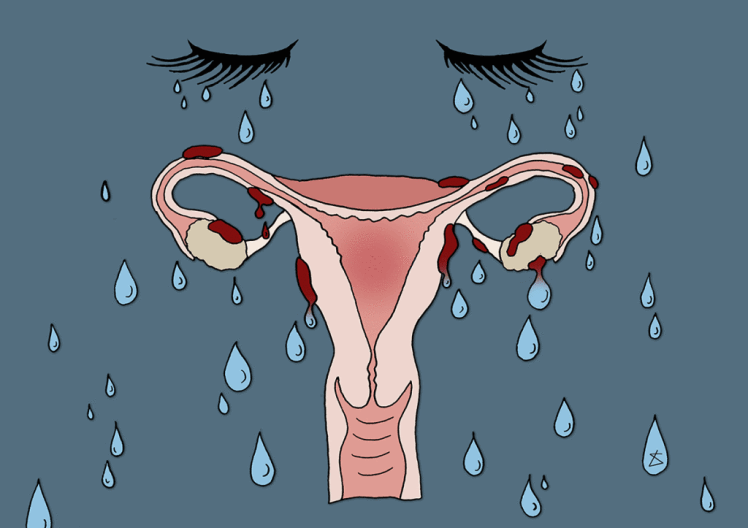 PMDD, WHAT IS IT AND COULD YOU HAVE IT? Too many friends and people I know have talked about those three days before your period where you have to stand on the platform wall in the underground to stop your feet from sliding towards the ongoing train; cancel those plans with friends to draw the curtains and dive into a duvet coma; feel horrible and bloated, want to cry in the coffee shop queue for no apparent reason etc. etc. In a lot of ways, it’s clear to see how in this mystical and also pretty scientific way, the body is constantly preparing us to have a baby and the hormonal changes that will come with that. On the flip side, the anxiety and depression your PMS ride can incur, may swell up into something bigger. After coming off the pill, (I was on Gederal 30/150 – combined pill of Oestrogen and Progesterone) for two years I felt, for the most part, a lot clearer. That’s until I saw a cloud coming for me and felt confused as to why my anxiety had spiked after all the positive changes I’d enforced. Exercising, eating healthier, no smoking and less drinking, my career going better to boot – to me, the apparent anxiety and high emotions I was feeling didn’t make sense. But then I looked at the calendar and finally learned about Pre Menstrual Dysphoria Disorder. It wasn’t till reading the list of symptoms that something began to click. As someone with bouts of anxiety and depression, I’ve always been curious as to what causes my down days. Not until reading the list of symptoms of PMDD did it all make sense (note, they’re very similar to the list of symptoms for Bi-Polar disorder). It wasn’t until the 1980’s after two women in the UK walked free from their crimes, citing PMS as the real culprit, that people really started discussing PMS/PMDD. The case also reignited the psychologist Professor Joan C. Chrisler to continue her studies in PMS/ PMDD and she wrote the thesis “The Media Construct, a Menstrual Monster” as a response. Suddenly, every monthly magazine had an article on PMS. 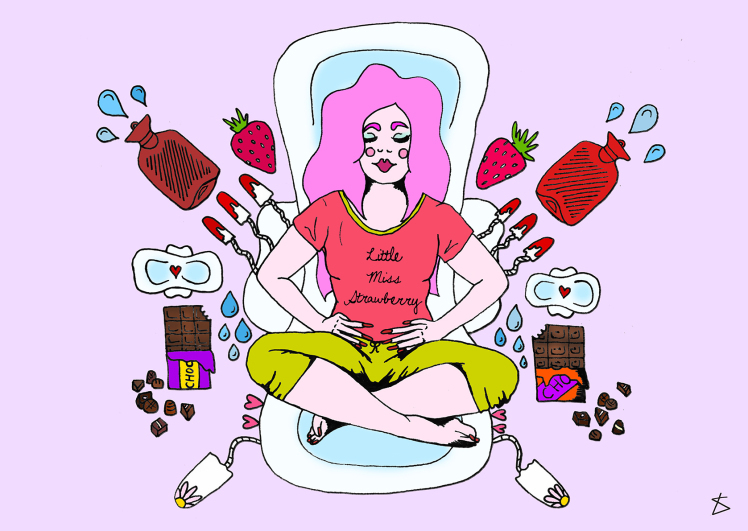 “The problem is, and I’m not trying to say that there are no changes in your body that you can experience and notice across the menstrual cycle, every woman knows that there are. But the question is, how bothersome do they have to be before you say I have a medical problem? ” says Chrisler. A lot of Chrisler’s career into gender psychology has focused on fighting for the recognition that some people can suffer so badly from symptoms occurring around ovulation and menstruation that it can and should be classed as a medical problem. Only since 2012 has PMDD been listed in the DSM-5 (Diagnostic and Statistical Manual of Mental Disorders). Defined before, as an endocrine disorder, (hormone related disorder) but with symptoms such as depression and suicidal feelings, it made it into the manual for doctors to diagnose mental health problems. Approaching a GP with any mental health issues can be scary, especially when we are told you can take this prescription for some meds or wait 6-8 weeks to see an overworked counsellor. I did go to mine, with the information I had found and a list of symptoms I had experienced. They took some blood to check if it could be any other hormonal imbalances and have told me to chart my symptoms for two months so we can review and see if there’s a pattern. Speaking to my mother about it, she apologised, “Sorry, yeah, you must have gotten that from me.” PMDD is believed to be genetic, so speak to the women nearest and dearest to you about your cycle because there could be a link. Looking back and charting longer spouts of depression and anxiety I personally have experienced, it’s clear that they may have been incepted by this sensitivity to my hormones. Unfortunately, it has lead to an extended wrestle with my moods and emotions, taking me nearly two months to get out of that negative state. Recently, I’ve seen how it can almost evaporate, as soon as my period is done. Remembering to inhale, exhale and listen to your body is important – regardless of a messed up cycle. It’s a strange and wonderful card we get dealt as women but with more resources out there than ever, no one has to deal with any insecurity or dilemma alone.